This post describes how to set up Web-based Single Sign-On system consisting of OpenStack Keystone, Shibboleth Identity Provider and OpenStack Horizon. Instruction covered the following configuration: Keystone and Horizon under Apache Web Server with Shibboleth module as Service provider plus Shibboleth Identity Provider as Identity Provider. This configuration is based on SAML v2.0 specifications. Shibboleth Identity Provider can be easily replaced with any other Identity Provider based on SAML. This fact makes the document usable for other configurations. Although post describes one specific case it may be useful also for any other configuration of SSO with Keystone because instruction can be used not entirely but in part. 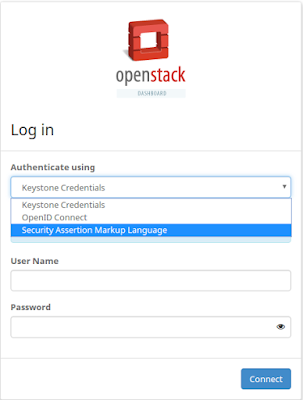 This post also contains brief information about Security Assertion Markup Language (SAML) and gives common understanding of Keystone SSO system. 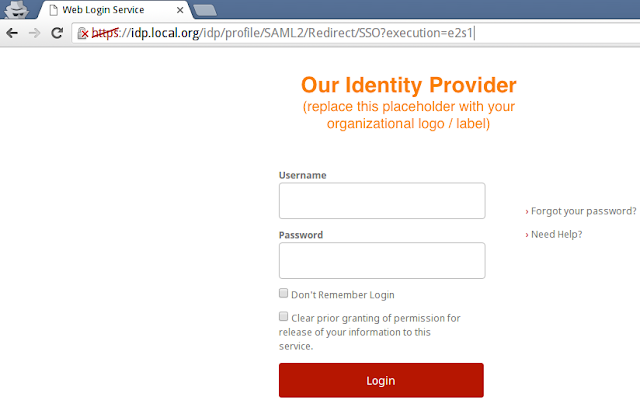 The SAML specification defines three roles: the Principal (typically a user), the Identity Provider (IdP), and the Service Provider (SP). 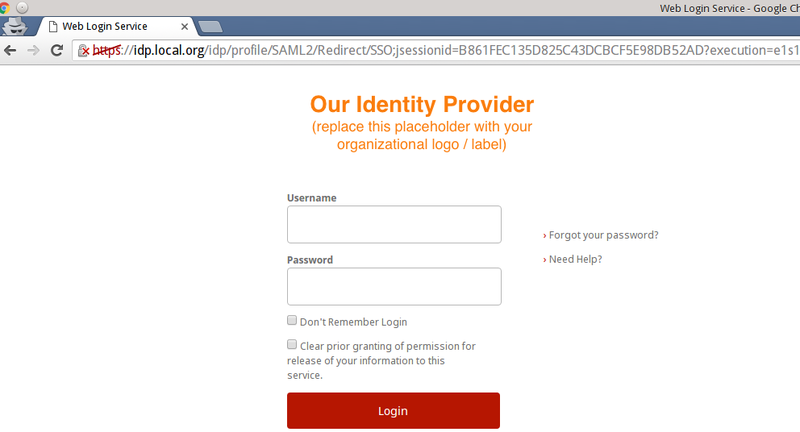 In the use case addressed by SAML, the Principal requests a service from the Service Provider. The Service Provider requests and obtains an identity assertion from the Identity Provider. On the basis of this assertion, the Service Provider can make an access control decision – in other words it can decide whether to perform some service for the connected Principal. 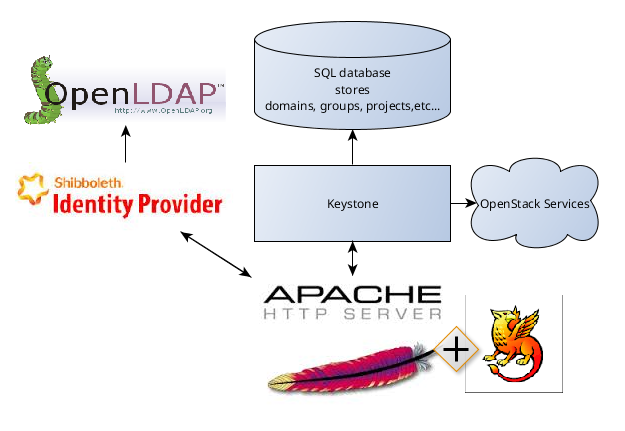 It is important that Shibboleth Apache Module and Shibboleth Identity Provider are different products. It is possible to use only one of them and replace other with different product. 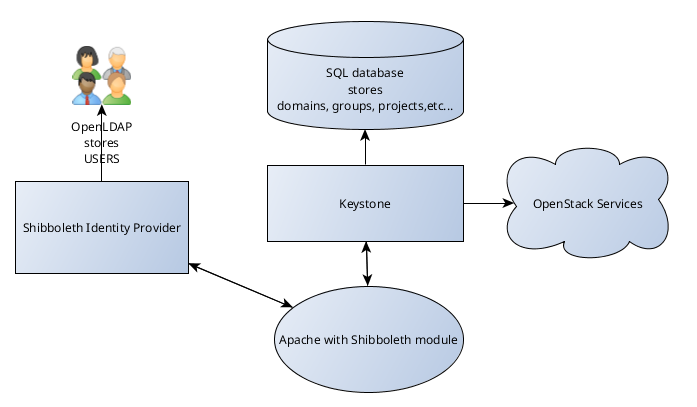 For example, it is possible to use Melon Apache Module instead of Shibboleth Apache Module or use any of identity providers (OneGate, Okta, etc...) instead of Shibboleth Idp. 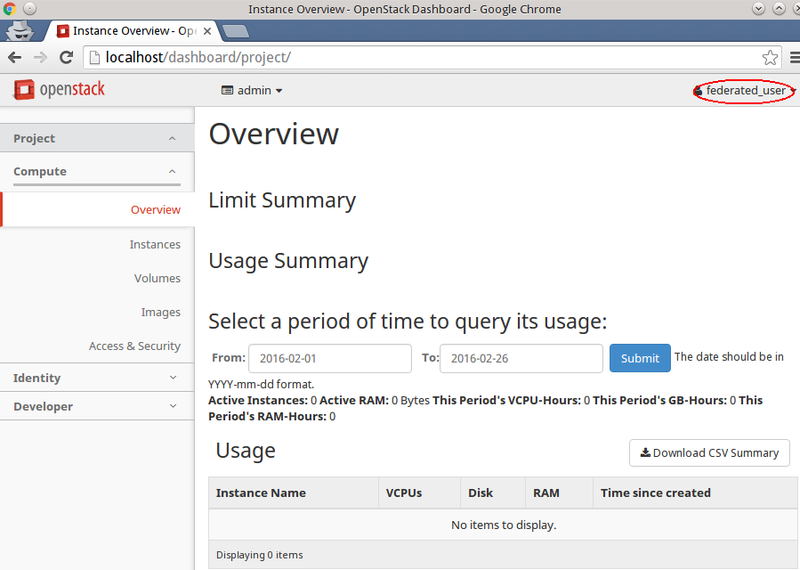 Install Java and set JAVA_HOME variable. 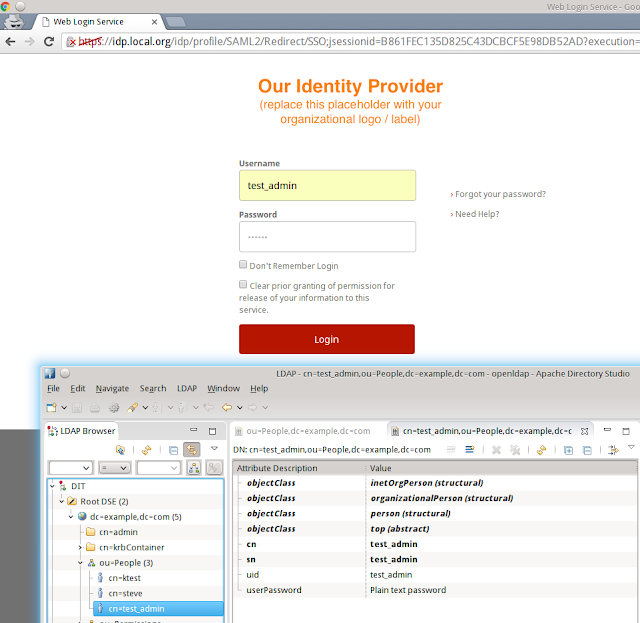 Download the latest Identity Provider software package. Unzip the archive you downloaded. 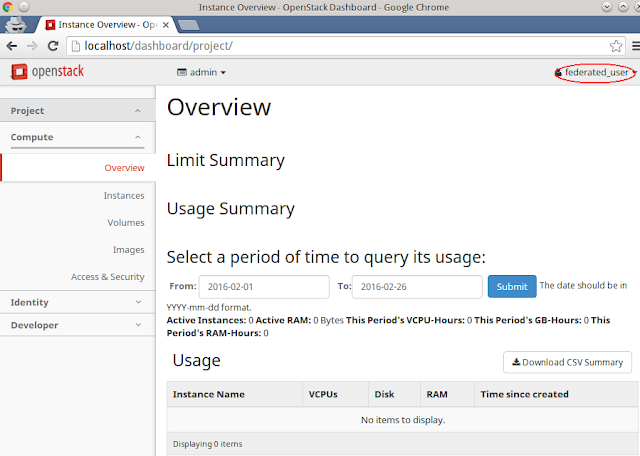 Installer will ask directory for installation, hostname for Idp, password. 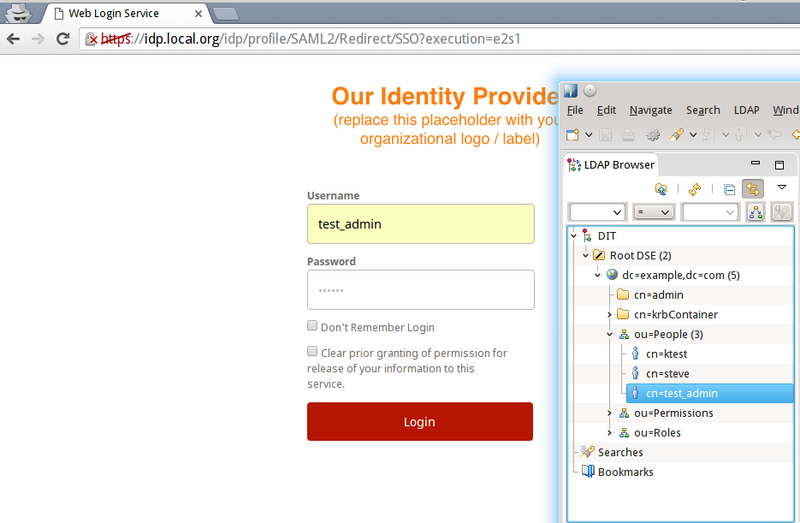 Use /opt/shibboleth-idp as directory and idp.local.org as hostname. Add tomcat users: edit /usr/local/tomcat8/conf/tomcat-users.xml. This document helped me a lot !!! but i have to configured "sso_callback_template.html" in /etc/keystone directory otherwise it was thronging 404 Error. ( I have setup IDP and SP on different hosts and tested with KILLO version). Vilash, thank you for your comment - I added step for template in the post. Any tips on how you redirected the Logout link to Shibboleth.sso/Logout? urlpatterns.append(url(r"^logout_shib/$", views.logout, name='logout')) # <-- This will add a new logout endpoint, leaving the old auth/logout still valid. Thank you for your question and the answer! Unfortunately, I haven't try to redirect Logout link during my research, I'll do it as soon as I find time for it. And I'll check your solution. hi,I got this error according to your document,Could you give me any tips?